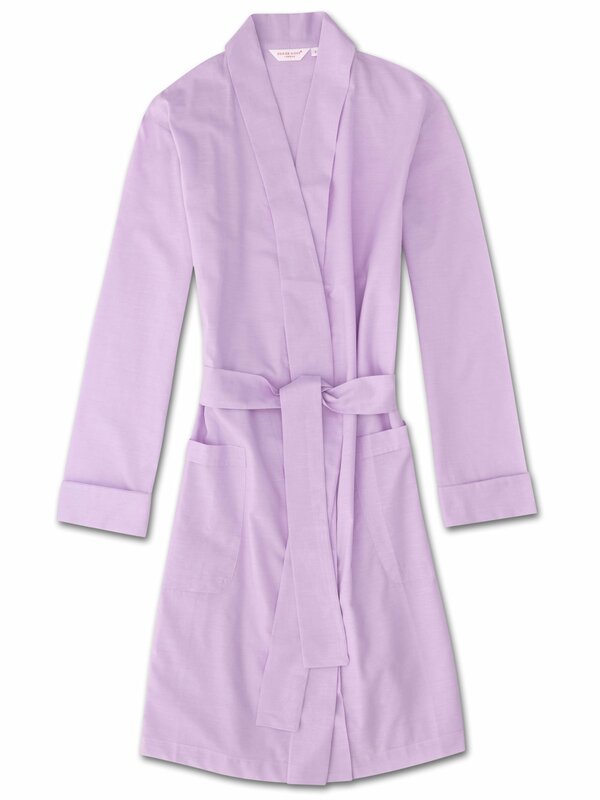 Wrap yourself up in supersoft pure cotton in this beautiful lilac pink Amalfi robe. Designed for a relaxed but flattering and elegant shape, our women's robes will keep you looking great and feeling comfortable throughout the seasons. With its relaxed fit, you can layer this robe comfortably over pajamas or loungewear even in summer. Our Amalfi batiste cotton has been a signature Derek Rose fabric since the 80's and continues to delight with it's supersoft and lightweight properties. This knee length style features two front patch pockets and a self-fabric kimono style collar, cuffs and waist-tie for an effortlessly stylish finish. 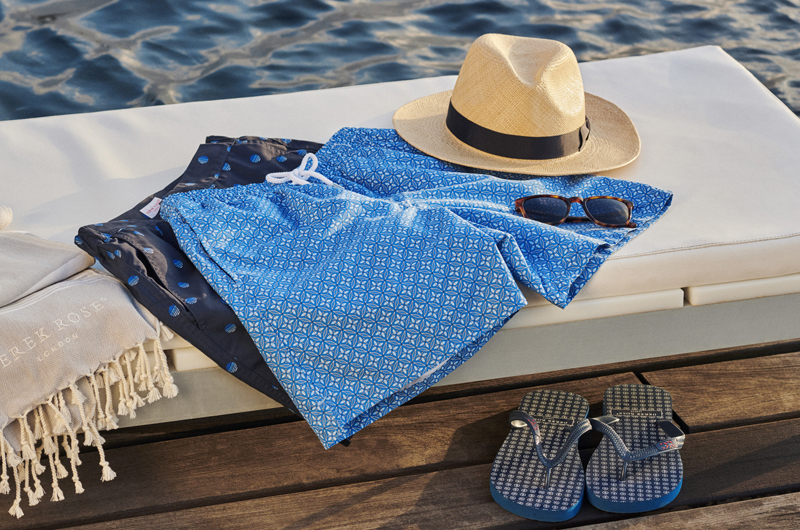 A firm favorite of our customers for its breathability, lightweight properties and luxuriously soft feel, our cotton batiste fabric also makes this robe perfect for vacations, as it's not only comfortable in warm climates, but also light to pack and easy to carry.